What better location to plan a terrorist attack than a G8 Summit were all the world leaders and their staffers are attending the summit at the Cheyenne Resort in Colorado Springs? This is exactly what Richard Coffee of The Fallen Angels is planning to do and it's up to agent Derek Stillwater to stop them. The story follows Derek who has been undercover at the resort posing as a maintenance man as he tries to stop the terrorists. Their plot is sophisticated and extensive and appears to be infallible, but they did not take into account that Derek was on the site. He manages to pick off one terrorist at a time, but not without a number of attacks against him. He gets shot, stabbed, punched, falls down elevator shafts, and yet, he carries on with the mission to stop this attack. 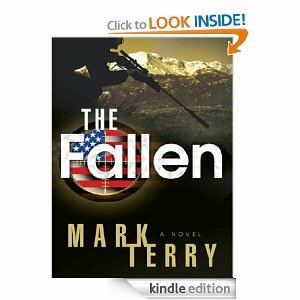 The action is non-stop in this heart-pounding political thriller. The secondary characters, especially Maria, are well-fleshed out. I loved that Maria was a strong, savvy woman who didn't cower in the corner when the terrorists attack. While I had to suspend belief that any one man could sustain so many injuries and still carry on, I thoroughly enjoyed this story. After all, how many times did James Bond get in tough spots and yet managed to save the world? The author gives us snippets of Derek's life, enough to make me read the other Derek Stillwater novels, and that's the highest praise for any author. Fans of political thrillers will certainly enjoy this. 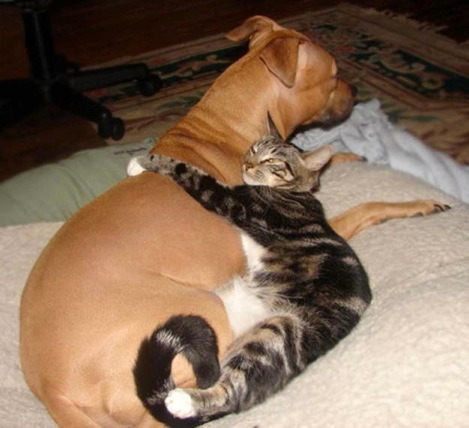 Kitties Funnies: Every kitty needs a dog! 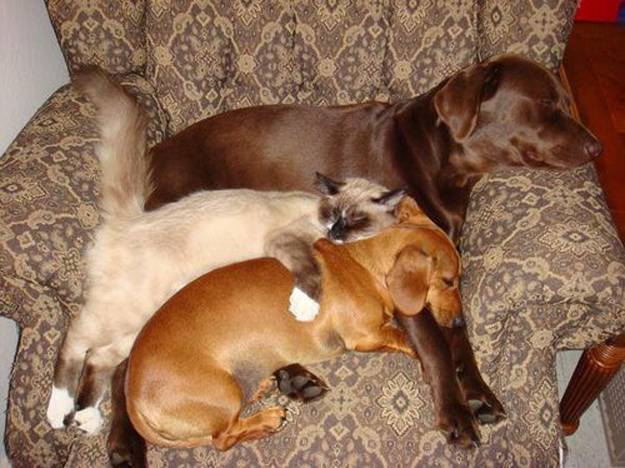 Everyone who knows me knows that I absolutely love kitties - every size, every breed, doesn't matter. 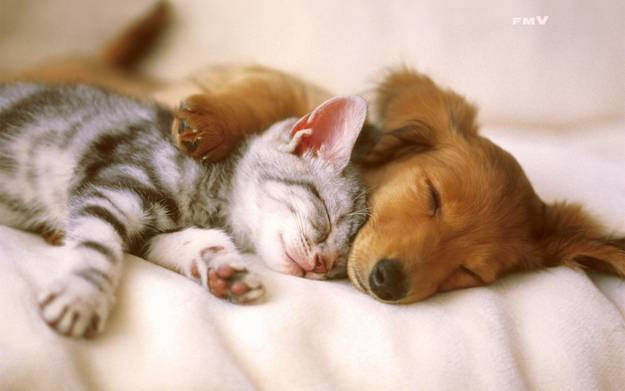 They melt my heart. When I came across these pictures though, I think I'm becoming a dog person too. Here's your smile for today. 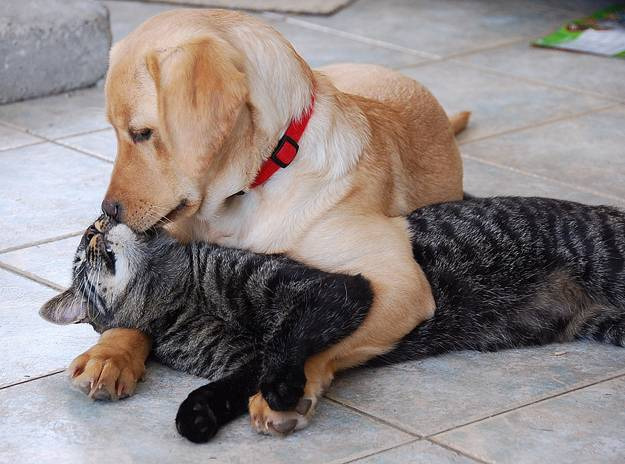 Go give your pet a hug and kiss! I heard you the first 5 times you told me! 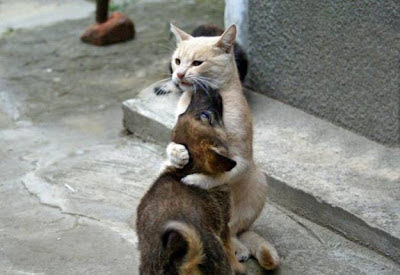 You're the best friend ever! 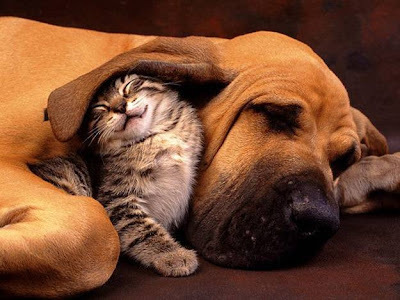 My very own personal blanket! Yeah, I know I'm cool. Calm down the hero worship, OK? It's been a great year for learning about not only publishing, but the craft of writing. I went from constantly checking my inbox for responses from agents to checking actual sales numbers! 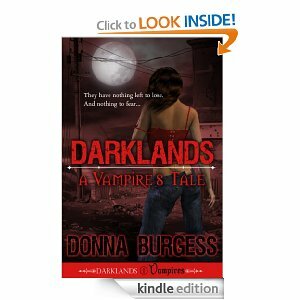 What kind of marketing did you do to get your book in front of readers?For Darklands: A Vampire's Tale, I did a month-long blog tour. It was a lot of fun, although I'm terrible at coming up with clever guest posts. I did giveaways on Goodreads and post on Facebook and Twitter. The first Kindle Nation Daily sponsorship also brought a spike in sales. For my next book, Solstice (which will be out May 1), I plan to do the same things. What's great about having a year's experience behind me is knowing what marketing methods don't work, at least for me. I don't have a contract for Solstice. I enjoy being in complete control, but I would consider signing a contract, if the right deal came along. I just received the edits back for Solstice and am fast at work on a YA zombie novel (yeah, that hasn't been done before). After the the zombie novel, I have southern ghost novel. I hope both of those will be finished before the end of the year. I'm really big on "indie" publishing, obviously. The main thing I would stress to newbies is to hire an editor! A good editor is simply invaluable. I use Lynn O'Dell and Red Adept and she has been worth every penny. Also, a professional-looking cover is important. There are those who are down on indie authors (check those inane threads on the Amazon message boards), so it's our job to offer a product that is indistinguishable from those of the major publishers. Finally, develop a thick skin. Not everybody who reads your book is going to think its a work of art, but that's okay. Just keep writing. 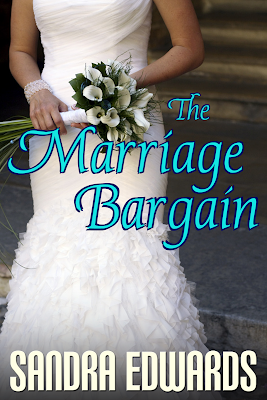 Sandra Edwards' Award-Winning book The Marriage Bargain is currently value-priced at $2.99. 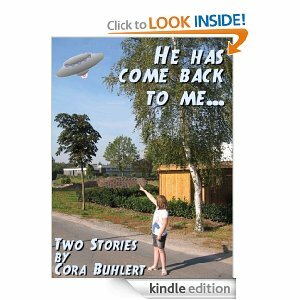 My latest book is called "He has come back to me…" and is a bumper edition of two interlinked science fiction short stories which were previously published separately in magazines. "He has come back to me…" explores the difficult relationship between two sisters who saw an UFO land near their childhood home when they were children. The second story in the collection, Contact Renewed, picks up some thirty years later, when the younger of the two sisters is working at a SETI type "search for alien life" project and struggles with trying to remember whether her childhood close encounter was real or not. I sold several short stories, non-fiction articles and poems to traditional magazines. A bit later I finished my first novel. I didn't particularly like the idea of getting an agent and giving them 15 percent of all my writing income, so I decided not to get an agent unless I found that I absolutely needed one. Hence I decided to submit my novel to those publishers that accepted unagented submissions first. In the end, the novel was submitted to exactly one publisher who rejected it. Then my MA thesis took over my brain and I stopped sending out queries. I don't belong to a critique group in the traditional sense. Partly this is for purely logistical reasons. I live in Germany and write in English, so potential critique partners and groups are few and far between. However, I was lucky to attend one of the very few universities in Germany that offered creative writing classes in English. I attended every English language creative writing class I could. Those classes were very helpful, probably because we had an excellent teacher. The other writers in the class were very different from me. They wrote mostly minimalist literary flash fiction and poetry, whereas I wrote longer genre fiction. Nonetheless, these creative writing classes grew into an English language writing group over time. We even have our own magazine. Several members eventually found publishing success, mostly in traditional small press publishing, though one is a bestselling non fiction author here in Germany. I have less contact with the old group now that most of us have left university. But I still see them from time to time. And when I need a beta reader or a second opinion, I know a bunch of people I can ask. I saw that more and more authors I respect started self-publishing. Besides, I read the blogs of Kristine Kathryn Rusch and Dean Wesley Smith and what they said about self-publishing made sense. I had several out of print backlist short stories and novelettes not to mention works that never sold, all of which were gathering the proverbial dust on my hard drive. So I decided to take some of those backlist stories and give self-publishing a try. 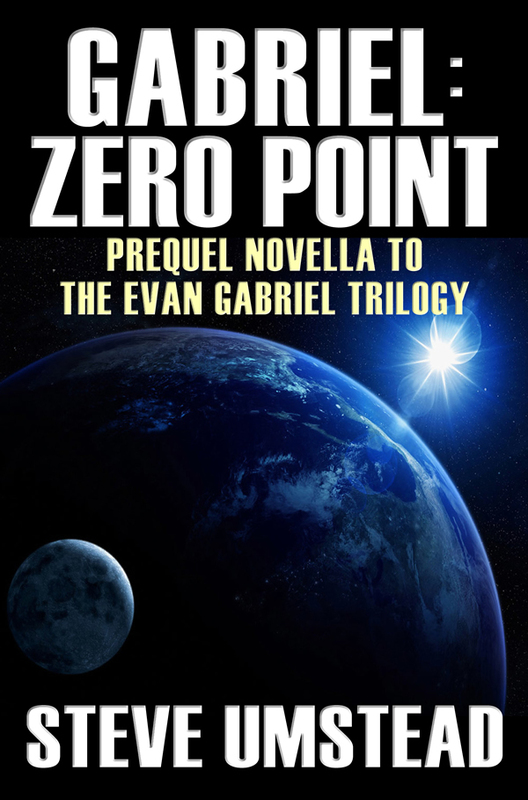 I found that I enjoyed the process and the freedom self-publishing gave me, so I put up more backlist stories and novelettes as well as stories that never sold and brand new work. 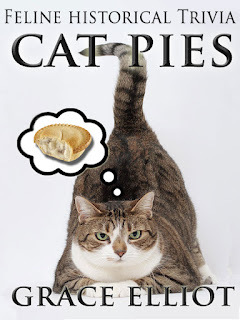 So far I have 14 e-books in a variety of genres available, mostly standalone short stories and novelettes but also a flash fiction collection and a bumper edition of two interconnected short stories. Most of my e-books so far are republished backlist short stories and novelettes. And since those stories were originally published in various small press magazines, they already went through the editing process. As for new stories that have never been published before, I use beta readers, but I so far haven't hired a professional editor. Though I will probably hire one when I finally publish my first completed novel later this year. First of all, I've learned that self-publishing is a lot of fun. It's also easier than I thought, though of course there is a learning curve at first regarding cover design, formatting, uploading, the requirements of the different sites, etc… But once you get the hang of it, it's really easy. Besides, self-publishing has taught me a lot of new skills. Thanks to self-publishing, I've become a better copyeditor. My HTML skills have become considerably less rusty. And since I design my own covers, I've also gotten much better at Photoshop. For the cover of "He has come back to me…" I designed a UFO from scratch in Photoshop and inserted it into a photo. I couldn't have done that six months ago. But the best thing of all is the freedom self-publishing gives me. Before I started self-publishing, I would evaluate every single story idea according to whether there was a market for it and whether I could sell it. If the answer was "No", the story remained unwritten, unless the urge to write it was so overwhelming that the idea just wouldn't let go. But now that I'm self-publishing any story idea or length (try selling a novella in the traditional publishing world) is viable, because I can make my own niche. You can also find my books at OmniLit/AllRomance ebooks, DriveThruFiction and XinXii with more sites coming soon. I have a personal website and blog, which I update almost daily, as well as a publisher blog, which I update about once a week. On my personal blog I talk about whatever moves me, not just writing, while the publisher blog focuses on writing and publishing. I also participate in some forums where both writers and readers congregate, comment on other people's blogs and occasionally do a guest blog or an interview like this one. I even have two book trailers which I made with xtranormal, a cool website which lets you make short movies with CGI characters that speak whatever dialogue you write for them. I don't know if those trailers sell books, but they were a lot of fun to make. Not really. Most of the "marketing things" I do, whether it's blogging, commenting on other people's blogs, participating on forums, are things I was doing before I started self-publishing and which I would do anyway, because I enjoy them. In my opinion it's very important to set aside time for writing. Because if you don't set aside time for writing, you don't have anything to promote. 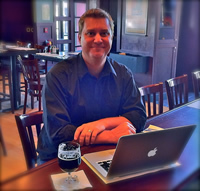 I do subscribe to the belief that the best marketing is writing and publishing the next book, so it is absolutely crucial to make time for writing. Take the time to read the relevant blogs and evaluate all information. Take everything you find with a grain of salt, because what worked for Joe Konrath, John Locke or Dean Wesley Smith may not necessarily work for you. There's a bit of a learning curve, but don't be intimidated by this, because it's not nearly as hard as it looks and it gets easier with every book. Try to make your e-books as good as you possibly can, but don't worry if everything isn't perfect right out of the gate, cause e-books have the huge advantage that you can always fix typos and formatting issues, change the cover and the blurb, etc… Don't rush anything, cause e-books are potentially forever and the e-book you're publishing now will still be earning you money five or ten or twenty years from now. And most importantly of all, don't forget to have fun! Well, there's Wed on the Scaffold, a brand new historical novelette set in 16th century Germany, because historical fiction still seems to sell best for me. There'll also be more backlist reprints in the future, including a collection of short crime fiction and one of short stories set on airplanes. There'll be more adventures of the Silencer, a masked avenger in the tradition of the pulp magazine heroes of the 1930s. And I'll finally get around to publishing Colfrith, a Steampunk regency romance and my first completed novel, that never sold way back when. It seems like just about everyone has a blog these days, but very few ever gain the levels of popularity and readership necessary to make them qualify as one of the Internet's “top blogs”. Achieving high levels of Internet acclaim can seem elusive to most bloggers; so many of the top blogs have so little in common, so what is it that catapulted them into success? Although there is no one secret tip or rule for making your blog into one of the top-visited on the web, many of the owners and creators of the Internet’s top blogs agree on at least of the few key factors that helped boost them towards success. Many of these tips may seem obvious, but the simple fact is that most bloggers take them for granted or simply don't think of them at all. Creating a top blog takes time and dedication, and only the most dedicated will be able to achieve the kind of success so many bloggers dream about. It's so simple that many bloggers might not even think of it. If your goal is to have a top blog, where better to start than with the existing top blogs? Take the time to study them – seriously – and don't just give them a surface glance. Sure, a certain top blog may be funny, but so are a lot of blogs; really analyze what this one is doing differently to engage readers, surprise them, or keep them coming back? A fashion blog may seem like just a collection of photos, but consider how the layout, the design, and the color choices create a complete ambiance for the reader. Start noticing details, and consider how to incorporate them for yourself. The best way to get readers, other bloggers, and advertisers excited about your blog is for them to know it exists. The fact is that if no one is reading or talking about your blog, your chances of it growing to “top blog” status are almost zero. You can hope a big news organization or other group stumbles onto your blog or links to it publicly, but that's unlikely; you have to make your own way in the blogosphere by slowly growing your network of allies. Do guest posts on other blogs and promote advertiser products with reviews and giveaways. Slowly but surely, grow your fan base and your odds of going viral soar. There is no hard and fast rule for what website design will lead to your blogging success; rather, a good blog layout will be almost invisible because it meshes so perfectly with your writing style and subjects. What you want to avoid, if you're looking for a top blog, is a layout and blog design that makes readers say “huh?” when they open up the page. If you're writing about celebrity news and gossip, your layout should reflect it; glitz and glamour, not the default blog settings that came with your site. A blog doesn't have to have a fancy or sophisticated layout; it just has to make sense. The simple fact is that most people aren't interested in reading a daily account of your life. Successful blogs – though some incorporate aspects of the author's personal life more than others – have a main topic or theme around which every post is centered. Cars, marketing, organic farming; even ultra-personal topics like motherhood, illness, or weight loss give a blog direction. Consistency and theme are essential for maintaining interest in your blog. Check in with readers from time to time, too. Ask them for feedback, or provide simple tools that let them show you what works for them and what doesn't (i.e. feedback forms, “like” buttons, etc.). If your recipe posts consistently outrank your crafting posts, take note and give the people what they want. One of the most common issues bloggers have is that they go-go-go for a few weeks or months, and then they gradually lose steam and eventually stop posting altogether. Obviously, top blogs cannot give in to the inertia that sets in after the first few posts on a new blog. You can avoid this by planning carefully; write posts in advance so you have a few prepared in the event you get busy, get sick, or just feel lethargic. Posting consistently is a key factor in maintaining regular readers, also known as the folks you need to grow into a top blog. Once you start to gain popularity, don't burn out with excitement. Continue doing what you're doing and don't give in to easy outs or opportunities along the way; if being a top blog is your goal, you must believe in what you're doing and keep up your momentum. Becoming a top blogger isn't an easy goal to attain – the blogosphere is packed full of writers just like you with the same goal – but it is one that can be won through hard work and determination. Stay confident in your work and be open to learning along the way; being able to identify what's working and what's not will be essential for your success. Most importantly, keep posting! Practice makes perfect. 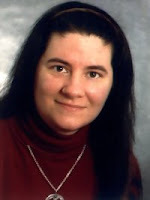 Guest Post: This article was written Ella Davidson of coupons and deals website, Coupons. Coupons.org is a consumer savings website that has been featured by prominent financial news channel CNBC. ~Note: This is a novella of approximately 22,000 words (~90 printed pages) and can be read either before the trilogy or after. One of the nicest compliments I ever received was from a reviewer who called “Josie Bates (heroine of my witness series) one of the best characters ever”. For an author, that is the highest praise. Think about the millions of words written about thousands of fictional people, and then ask yourself how many stuck in your mind, reside in your heart, or continue to haunt you years after reading the book? If you’re like me, there are a handful of such characters in your memory. Gone With the Wind: Scarlett O’Hara, Rhett Butler and Miss Mellie. Spiritually Unique: Villain or hero, each one has his or her own demons and desires, strengths and weaknesses. Strength on its own is uninteresting without weakness. Physically identifiable: A great character manifests his or her uniqueness in dress, mannerisms, and speech patterns. Imagine an actor tackling your character on screen. Can you hear them? See them? Are they so real you would know them walking down the street? Logical: A character with a unique speech pattern may amuse your reader for a while but if the words coming out of that character’s mouth aren't appropriate to story, plot and core of that character, the affectations is illogical. Unapologetic: Readers may not always embrace your vision, but if you give a character an unusual life, let them live it. Do not be swayed by fear of political incorrectness or tempted to take the safe route. Writing is about nurturing your bold voice. Purposeful: A character’s journey is guided by principles born of experiences. In Josie Bates’ case, she is formed by her mother’s abandonment (personal) and her belief that the law and justice are two separate things (professional). 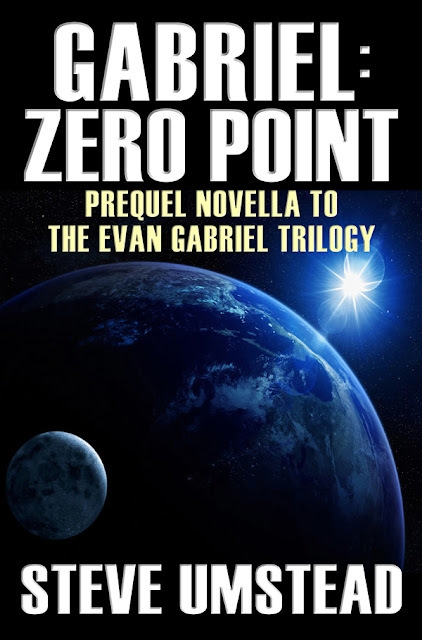 The author’s objective is to create a passionate character willing to go to great lengths to protect what they believe in or secure what they desire. • Katniss’s (Hunger Games) and Scarlett’s (Gone With the Wind) fight for basic survival. • Westley’s (Princess Bride) relentless search for his lost and true love. • Salandar’s (Dragon Tattoo) desperate desire for self-determination. • Rhett Butler’s (Gone With the Wind) code of honesty. • Melanie’s (Gone with the Wind) passionate belief in Scarlett’s inherent goodness. • Johnny Oops’ (Johnny Oops) wry but heartfelt search to define his teenage self. Don’t be afraid to refine your characters. We are not born the people we will become; neither are those who populate your books. Nurture them, define them, polish them and they will live in the reader’s memory for a very long time. I am constantly writing and in the past 3 months have released two books, one fiction and the other non-fiction. My latest fiction release is "Eulogy's Secret." This historical romance is a story of greed, prejudice and a stolen identity. In the four weeks since her guardians’ death, Eulogy Foster has lost everything. Penniless and alone she seeks the help of her estranged brother, Lord Lucien Devlin. But Devlin throws Eulogy out onto the streets and the mercy of a passing stranger, Jack Huntley. As Eulogy seeks the truth behind her birth, she is drawn into the world of art and artists, where her morals are challenged and all is deception. The book was great fun to write and I hope readers will find it an absorbing page turner to read. Like most writers, I thought approaching publishers and agents was the only way to go, but now I know differently! Eulogy's Secret is my second published novel, but my first independently published book. My debut historical romance was A Dead Man's Debt, which was published by Solstice Publishing. I will forever be grateful to Solstice for taking me on, because without them I would never have had the confidence to strike out on my own. That said, it rapidly became apparent that although I had a publisher, the main burden of marketing and promotion fell on my shoulders, whilst they took the lion's share of the royalties. After much debate, I decided to go Indie with Eulogy's Secret and hand-on-heart, I haven't regretted it for a minute. Perhaps I'm a power freak, but I love have total control over cover design, editing, price point etc. 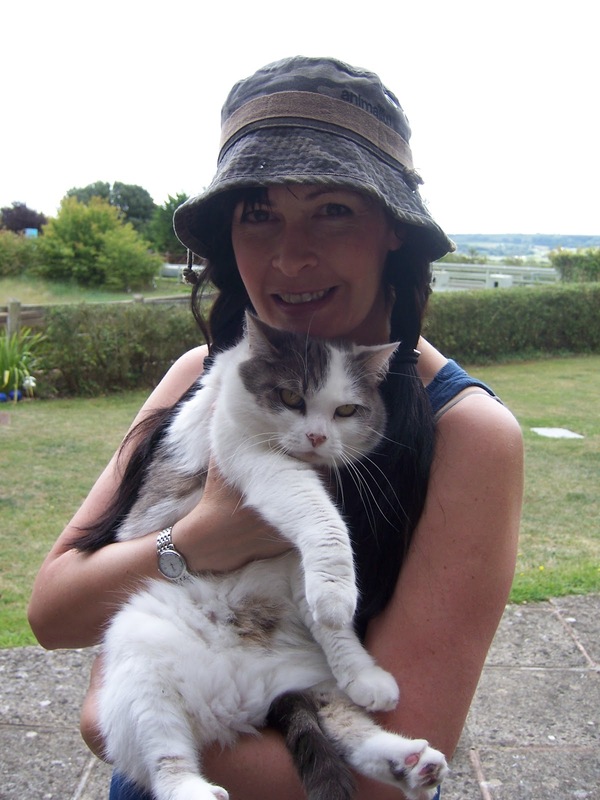 It enables me to try different marketing strategies and to find out what works best for me and my books. And then there's the obvious benefit of a higher share of the royalties! What's not to like? Who knows what I'd do if ever I was approached by a major publisher (well, you've got to dream!) but for now I'm no longer wasting my time approaching agents and publishers because it's Indie all the way. If I'm truthful the major factor is a personal one. I'm a Kindle owner. I love my kindle and it goes everywhere, and I mean everywhere, with me. I was one of the early users of eReaders of which my first device was a Sony 550. I found the Sony a bit 'clunky' to download books and so one birthday my hubs kindly bought me a Kindle. Talk about being converted! The Kindle is such a great product and so easy to load books onto, as as a reader I know that authors whose books aren’t on Amazon are missing out. Totally, 100% yes. It is essential to make an indie book as professional as possible. As an author, I could not possibly edit a book myself to a high enough standard. I know the story so well I start to go word blind and also I'd far rather use my time writing the next book. Although I use beta readers to give their opinion on character consistency, plot flow etc, an editor's input is also an essential as part of this process. I was lucky enough to find an editor who is a specialist in the Georgian period (I write regency romance) - and she spots the odd incongruity of speech or gesture, not appropriate to the period. Invaluable! I have learnt so much by going Indie, mainly about the generosity of other authors (a perfect example is Debra, whose blog I'm appearing on today! Thank you, Debra.) There is a camaraderie amongst the indie community that is awe-inspiring and makes you feel part of a team, even though you are alone at your laptop. I've also learnt that nothing is fixed, that if a new opportunity comes along (such as Kindle Select) then give it a go. You never know, your book might end up at #1 (as both Eulogy's Secret and Cat Pies did in their respective free download categories.) Above all, it's taught me to be optimistic, that if you have a great story that's professionally edited, your book can challenge the best. I am one of the early adopters of the Amazon Select program and until the end of March, my books are only available at Amazon. Prior to this they were also to be found on Smashwords, All Romance eBooks, Kobo, Nook etc. I'm still keeping an open mind as to what I'll do when my initial period ends with Select, but it's likely I'll broaden my base again and go back to those other platforms. In answer to your question, it's a case of 'not enough hours in the day. What works best for me is if I write first, and when I've achieved my target (be it a word count or editing a chapter) then I'll allow myself onto Kindle Boards or Facebook - where I lose myself for hours. Last November I took part in NaNoWriMo (National Novel Writing Month) and this really helped me focus. With NaNoWriMo you have a set word target to be achieved each day - this was a much higher number than I normally achieve and I was amazed at what could be done. Now my secret weapon in the writing war is to set myself targets, and only move onto marketing once the former has been met for the day. I'm nearing the edit stage of the next book in the Huntley trilogy, titled Hope's Betrayal. This story features the middle Huntley brother, Captain George Huntley, who has been sent to the south coast of England to sort out a smuggling problem. Unfortunately for Huntley, when he captures one of the smugglers, he also ends up losing his heart. Cloudless days and clear skies at night give us a chance to observe the splendor of the heavens, home of the sun and moon. All people are dependent on the sun; sun symbols have roots in ancient astronomical notations dating back 77,000 years (Blombos, South Africa). Our ancestors watched the heavens and learned about the cycles of the sun on which their lives depended. During the Ice Age of 12,500 BC the sun was symbolized by blonde curly-haired females (Duncan-Enzmann). As time passed the young girl became Helen: first a queen, then a goddess of the sun. Her kingdom (queendom?) spread from Norway to Africa during the time of the great stone circles, and prospered for several thousand years. Over time the sun became a father symbol, as in the biblical account of Genesis when Joseph dreams that the sun, moon, and eleven stars bow down to him. The sun symbolizes his father, the moon his mother, and the eleven stars, his brothers. The setting sun, its disappearance at night, and its rising again in the morning link with the archetypal symbolism of death and rebirth. Few young students today understand the analemma - the movement of the sun - or how critical this knowledge was to survival thousands of years ago. During winter solstice the sun reaches its lowest point on the horizon (the Tropic of Capricorn). There it stays, appearing to be still for three days. When it rises again it brings with it warmth and change-of-season that allows crops to grow and life to thrive. From this ancient observation grew the mythologies of the sun-kings, the dead and resurrected kings, and other legends. Mythologies and symbols of sun-gods appear around the world. Like Abraxas, the Greek and Roman sun gods Apollo and Helios drive chariots pulled by four horses; the horses are symbolic of the four seasons through which the sun travels. Wheels depict movement of heavenly bodies as calendrics; the spokes represent the sun’s beams. Whether male or female, throughout history sun “rays” or “discs” have symbolized spiritual energy and light emanating from divine (enlightened, knowledgeable) beings. The nimbus above the head of a figure is a “sun disc” connoting piety or divinity. Today, sun symbols can represent the intellect, the universal spirit, father of all, all-seeing divinity, intuitive knowledge, the bridegroom, enlightenment, and illumination. The moon was also an important heavenly body to our prehistoric ancestors. Time was divided by the lunar cycle, and predicting a full moon was important to hunters; the light of a full moon allowed hunting nocturnal animals. The moon was feminine, as from astronomical symbolism of that time grew the association of the phases of the moon with the three Norns, and later the triple goddess - maiden, mother, and crone. In Greek mythology, Artemis the huntress is a moon goddess. The moon is still generally a feminine symbol and is associated with water; a universal symbol of the rhythm of cyclical time and the origin of life. To the Celts the sun embodies feminine power. It can represent the psyche, the unconscious, or the unknown darker realms. The word “lunatic” comes from the association of the moon with the more instinctual and emotional kind of behaviors. While the sun became a masculine symbol, the moon remains feminine. The sacred marriage of the sun and moon is a theme found all over the world. In Incan mythology the moon is the wife of the sun, as well as the mother of the earthly king. 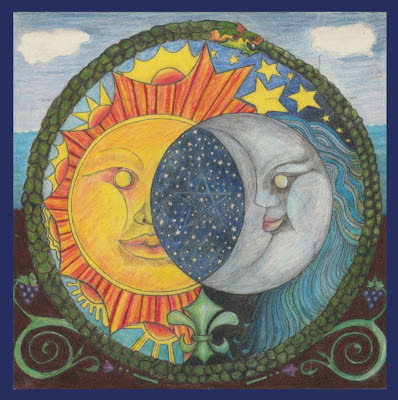 Today, when depicted together, the sun and moon symbolize the archetypal father and mother - the sacred marriage of Heaven and Earth, king and queen - the divine union of male and female; divine perhaps because new life is born from this union. A full solar eclipse is the ultimate manifestation of the sacred marriage, as for a short time the two heavenly bodies appear to become one. 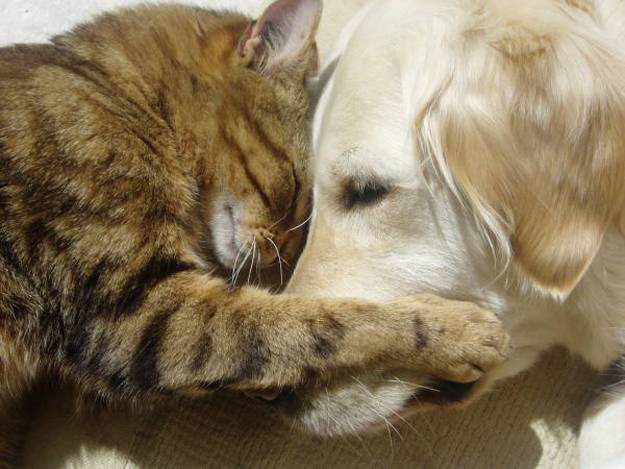 Their sacred partnership is symbolized worldwide. They are the most ancient archetypes of humankind, followed by mother and child. Whether masculine or feminine in symbolism, the yearly cycles of our sun and moon allow us to enjoy the benefits of these ancient and sacred guiding lights - the warm sun brings new crops and rejuvenates our spirits, and the mysterious moon reflects the sun with a gentle, night-time glow, providing relief from darkness. Article and artwork © 2011 Michelle Snyder, author of Symbology: Decoding Classic Images, Art and Symbols Once Upon a Time, World of Symbols, and World of Symbols: Secrets of the Mermaids. A Gift for My Readers! UPDATE: This title is no longer FREE. I'm setting ASSASSIN'S CURSE free today. If you're a fan of epic fantasy, be sure to grab a copy. It's just a small thing I can do to thank all of the readers that keep coming back to my blog every day. Thank you for making Two Ends of the Pen such a success. Can you give us an overview of your latest book? 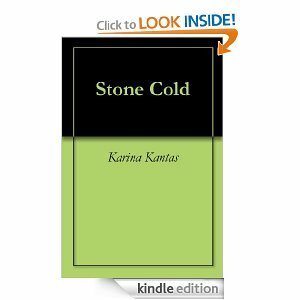 My latest indie book is a YA supernatural thriller novella called Stone Cold. 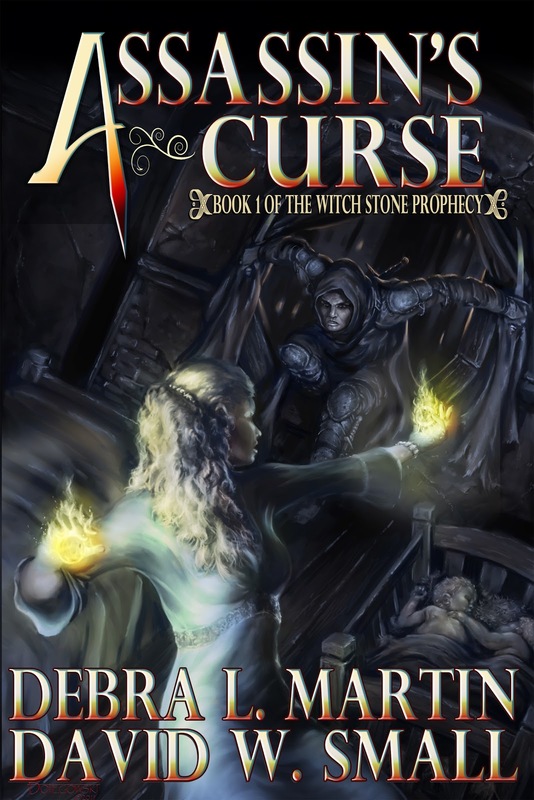 Apart from the supernatural element and the gruesome murders, most of this novella is taken from my own experiences. 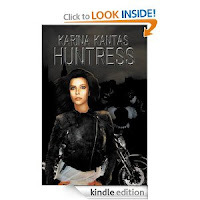 My latest traditional published book is an urban thriller called Huntress. When Sofi learns of the pain her family has suffered at the hands of the cruel leader of a motorcycle club, she vows to get revenge. With her journalistic skills she infiltrates the club, finding surprises of her own. Enter a world of outlaw MC’s. How long before you got your first contract? In the last ten years I have submitted most of my manuscripts to agents and publishers. Huntress was accepted by MMP a year after it was completed and was released late 2011. What influenced your decision to go with this particular publisher? MMP was the first publisher willing to take a chance on an unknown genre. What influenced your decision to self publish through Amazon? My paperback books In Times of Violence, Heads & Tales, Lawless Justice and Stone Cold were already sold through Amazon. Kindle was just another outlet for me. Are you currently under a traditional publishing contract for future books or will you publish further manuscripts for Kindle? I have a new manuscript Road Rage that I will probably submit to my publisher when they have new openings. I don’t want to self publish again. Do you have an editor to review your manuscripts before publishing? I used to have a couple of authors look though my work before submitting it. Now I have an editor and a secret reader who gets to see the MS before anyone else. What lessons have you learned being indie author vs traditionally published? The most important lesson is that if it sound too good to be true, it probably is. Don’t believe everything you read. I’ve been burned badly by two so-called publishers of self published books. I’m still paying for my mistake. Thankfully now I have a genuine publisher. I’m learning to trusts again. If you used a graphic designer or publishers designer how involved were you during this process for your cover. For my indie novels I have been lucky to find some excellent artists that offered their talent for free. As with the publisher’s designer, I’ve been involved from the beginning. I have exactly what I wanted and was sent updated drafts throughout the process. Both artists will take commissions when time allows. Do you find it difficult to juggle your time between marketing your current book and writing your next? and Kindle forums, marketing the five titles I have. My completed MS urban thriller is currently being submitted to literary agents and when I get back to writing again, I have to complete my MI5 thriller Broken Chains. So where can we find your books? #Romance LOVE BY CHANCE is #FREE today!